UN Photo/Mark Garten UN Special Envoy for Syria, Staffan de Mistura, briefs the Security Council on the situation in the Middle East, including Syria. 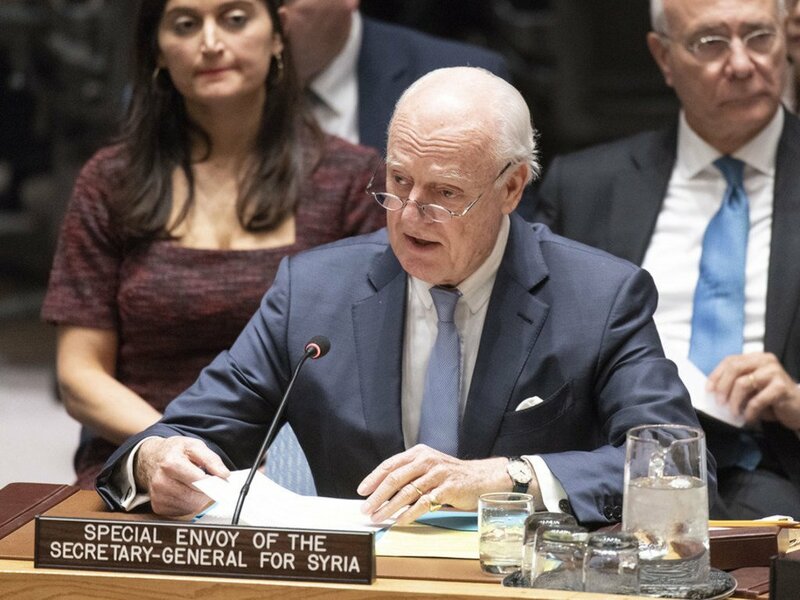 In his last briefing to the Security Council in the job, Staffan de Mistura reminded the 15-member body of the mandate it entrusted to the UN, to facilitate a Syrian-owned, Syrian-led roadmap for peace. That process, he said, is “the only way to enable the Syrians to determine their own future” and called on Council members to demonstrate a “renewed sense of common purpose” and concerted action, if 2019 is finally to be the “real turning point” after more than eight years of war. Mr. de Mistura updated the Council on the challenges that remain to create a new more inclusive constitution for post-war Syria, which was the subject of intensive consultations with senior ministers from Russia, Turkey and Iran earlier this week. One sticking point in determining the “middle third” list of the 50 individuals who will serve on a constitutional committee, alongside the 50 nominated both by the Government, and opposition leaders. Staffan de Mistura’s successor, Norwegian diplomat Geir Pedersen, will take up his post in early January.